Crop stalks contain a lot of starch. Extracting the starch from it can not only feed, but also make wine, vinegar, and sugar. Making starch from corn stalks First peel off the hard skin of corn stalks. Cut the no-worm scorpions into thin slices. Soak them in clean water for 12 hours and put them into a large pot to cook. When the boiled rice dumplings are boiled, stir it into a paste, dilute it with a proper amount of fresh water, and sieve it. Then put the filtered slurry into a fine cloth bag and squeeze or hang it to obtain wet starch. 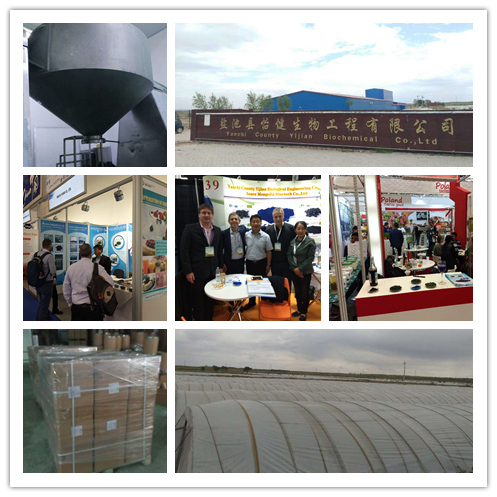 Use soybean meal to make starch sieve to remove sediment impurities, then wash with water to remove dust, then put it in clean water and soak for 8 to 10 hours, remove it and put it into the pot to cook it. Add 0.2 g The proportion of kilograms is added with soda ash. After simmering until the pods become sticky, remove the pods, pulverize them, add in fresh water, stir well and filter them with fine sieves. The filtered slurry is put into a cloth bag and squeezed to form wet starch. Use straw or wheat straw to make starch. Rinse the straw or wheat straw with water, chop it and put it into an iron pan for cooking. Every kilogram adds boiling water 29 kilograms, soda 0.12 kilograms. After cooking for 45 minutes, remove and rub in cold water. Remove and crush. The finer the better. The crushed raw materials are then returned to the original solution, agitated for 10 to 20 minutes, and then filtered through a fine sieve. The filtered juice is poured into a large tank for clarification. After 12 hours, the waste liquid containing impurities is removed and the lower layer is removed. The dope is put into a bag and squeezed to make wet starch. This classification summarizes the Organic Spirulina produced by our own factory in northwestern of China . 1. Organic Spirulina Powder . 2. 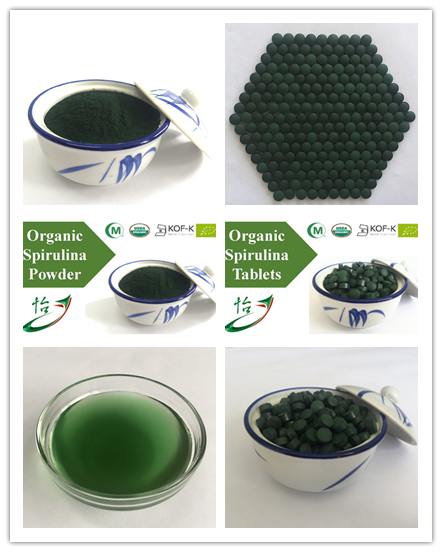 Organic Spirulina Tablets .